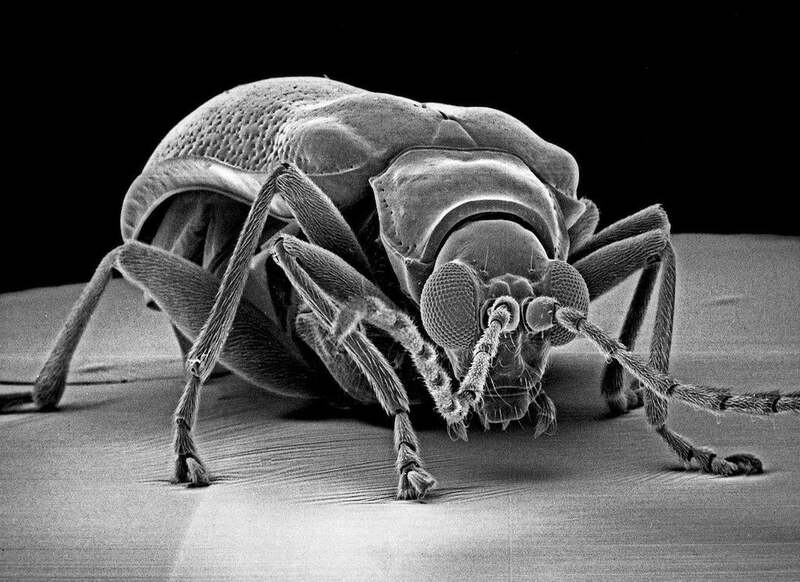 David M. Phillips photographs insects with an electron microscope in his book, Art and Architecture of Insects. This wingless ant is exceptional because the three parts of the thorax can be discerned, each with a pair of legs. 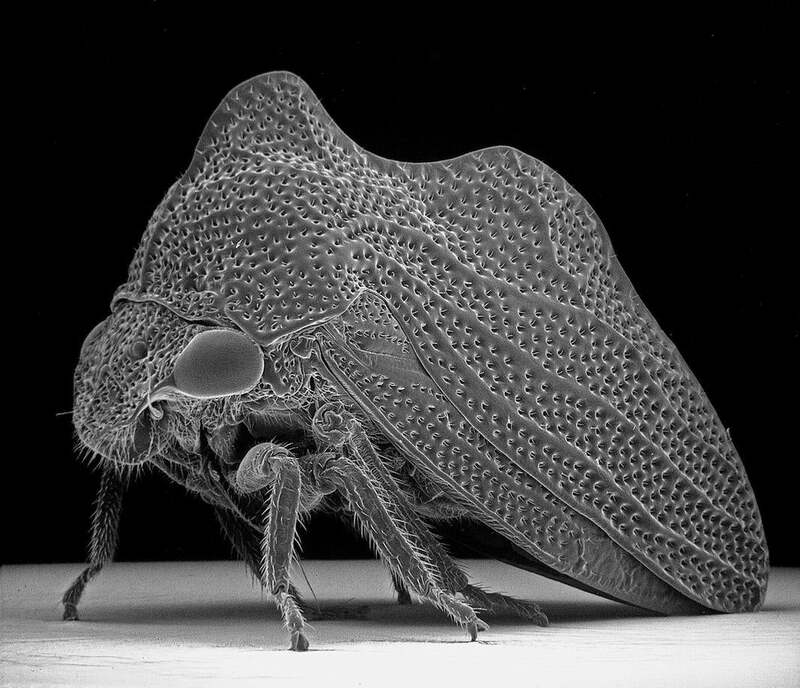 Ever since David M. Phillips took an entomology course at the Boston Museum of Science as a teenager, he’s been hooked on bugs. As a graduate student, he developed a love of microscopes during a course on cell biology. More than two decades ago, when he began working at the Population Council as a scientist studying HIV and AIDS, his interests intersected. 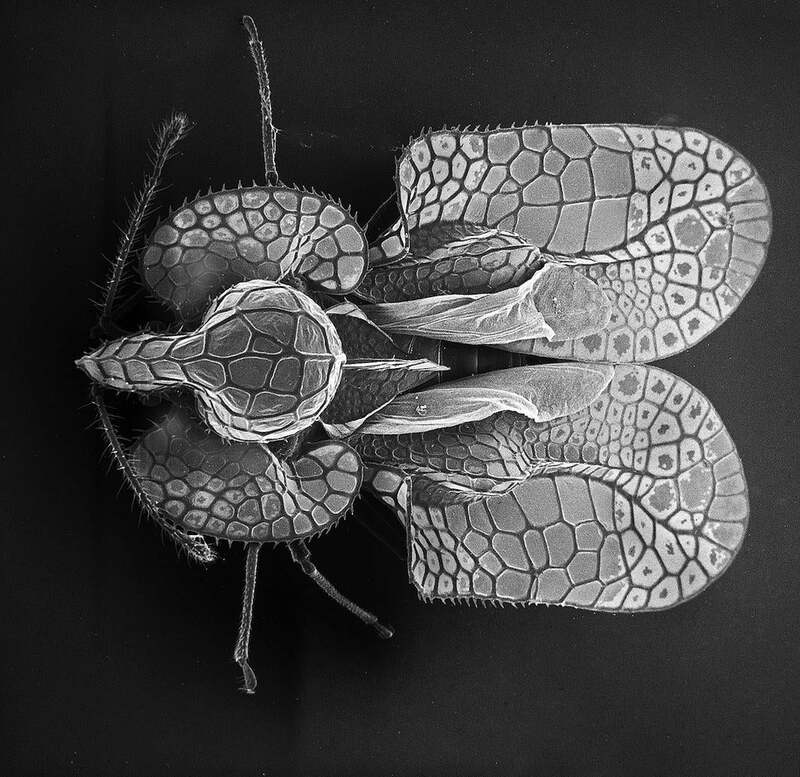 Phillips would come into the lab early before work or on the weekends to use the in-house electron microscope to photograph insects. 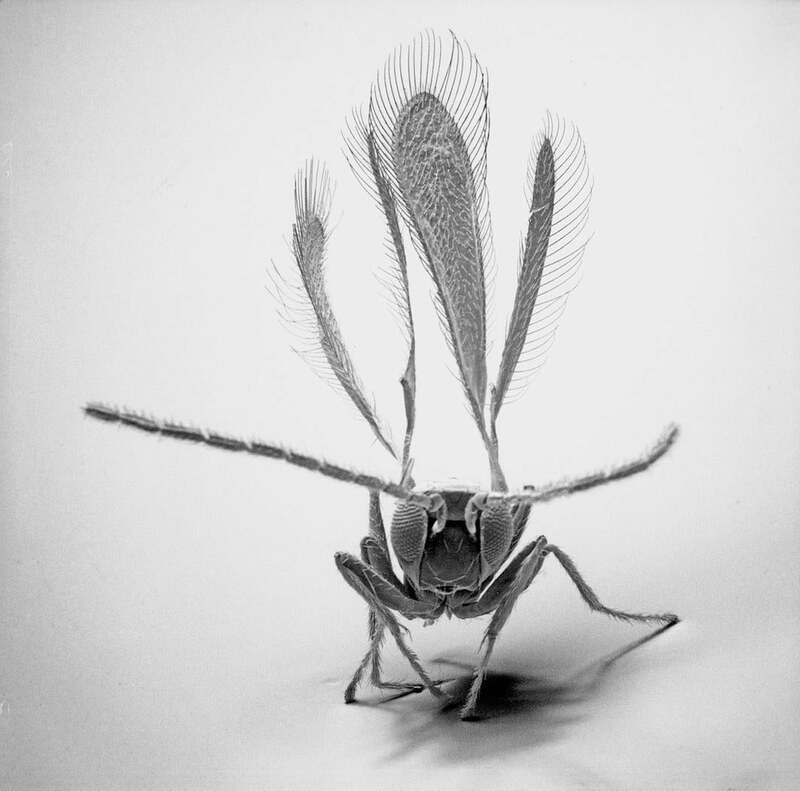 His photographs are now collected in the book, Art and Architecture of Insects. 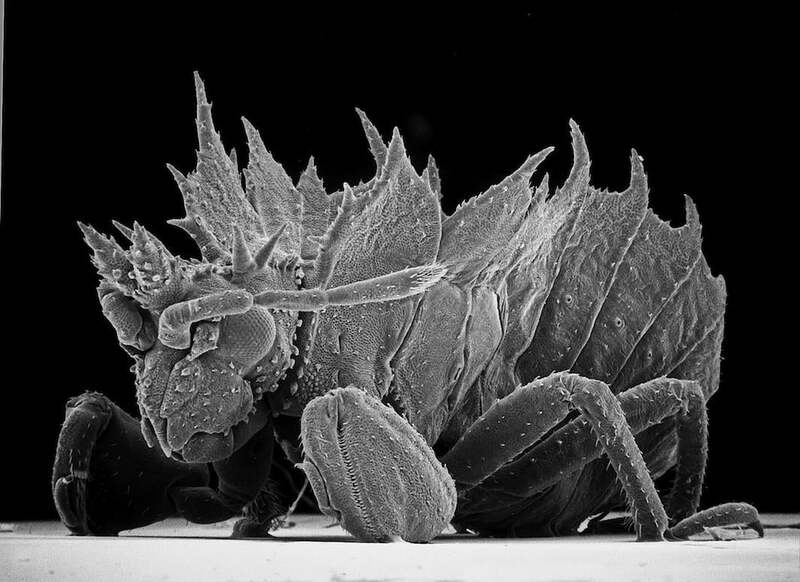 Electron microscopes aren’t available to many hobby photographers. They can take up a good part of a small room and cost hundreds of thousands of dollars. “Using one is a little like flying a spaceship. There are all these buttons knobs and gages,” Phillips said. 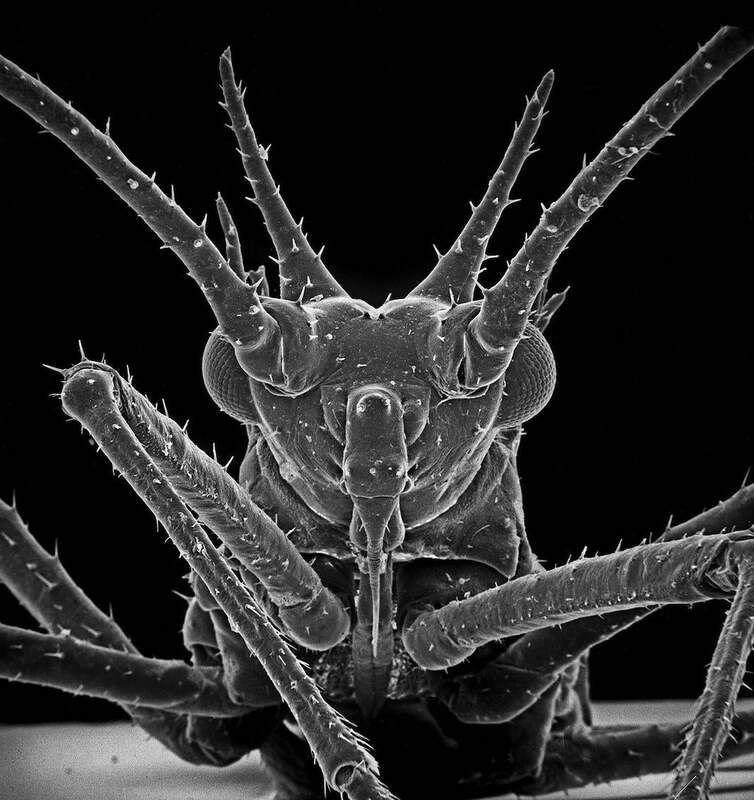 The two large spines between the antennae of the insect, a hemipteran species, are somewhat reminiscent of the horns of an antelope. Like most beetles this one has a thick rigid cuticle, which protects the underlying structures. The unusual wings of this fairyfly have hairs at their tip. 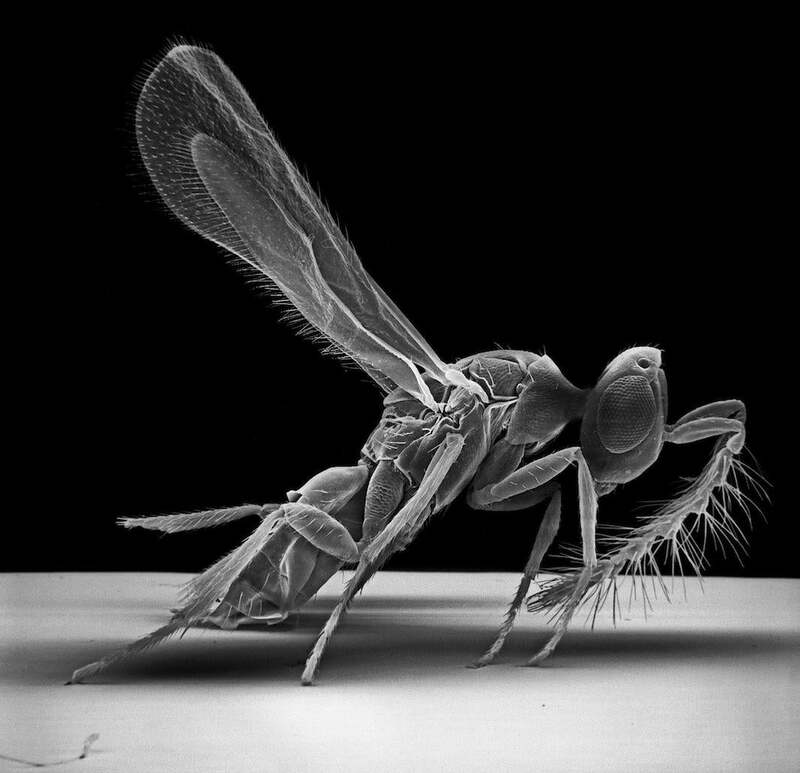 Most insects beat their wings at frequencies of a few to a couple of hundred times a second, but the wings of certain minute insects like fairyflies beat more than 1,000 times a second. This parasitoid wasp was about the size of a pinhead. When Phillips traveled to scientific conferences, he’d often bring his butterfly net to capture specimens. He’d then preserve them in alcohol. Later, he’d sort through his catch using a dissecting microscope and select the species he wanted. Then, he’d dry it out, arrange it into a lifelike position and coat it with gold so that it would carry electricity. Lace bugs (Tingidae) get their name from their lace-like wings. Most treehoppers (Membracidae) resemble thorns. Sitting motionless on a twig, a treehopper may not be noticed by a predator. 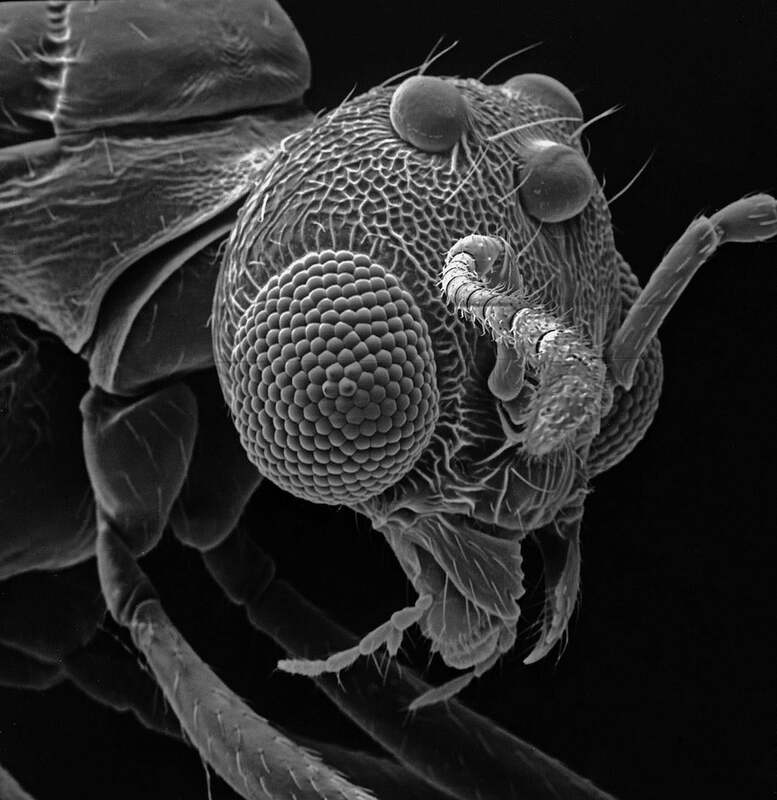 In addition to compound eyes, flying insects, like this wasp, have simple eyes called ocelli. They are the three hemispheric bulges on top of the wasp’s head. This ambush bug (Phymatinae) resembles a Stegosaurus, and its front limbs are reminiscent of the jaws of Tyrannosaurus rex. It is easy to see how most insects of similar size are no match for an ambush bug.